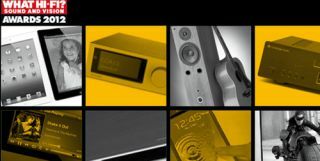 HOT DEALS: Best of the bargains on award-winning hi-fi and home cinema products | What Hi-Fi? In the mood to upgrade your system or buy something new? How about making a saving on award-winning products? We've rounded up some of the best deals we've seen this bank holiday weekend. Our award-winning Yamaha YSP-2200 is yours for £620 from Exceptional-AV. Another award-winning system, you can pick-up the Sony BDV-N590 – and some free Blu-ray discs – for just £299 from HiSpek. Here's a steal: the award-winning Panasonic TX-P50GT50B down to just £900 from John Lewis. The award-winning Sony KDL-55HX853 is down from £1800 to £1369 from Purewell. Already a bargain, our award-winning Logitech S715i speaker dock is down to just £74.17 from Amazon. The JBL OnBeat Xtreme was originally £500, it's now available for £209.95 from PRC Direct. The award-winning Tannoy Revolution DC6 speakers are down to £359 from Exceptional-AV. Our best stereo amplifier of 2012, the Roksan Caspian M2 is down from £1650 to £1300 from Exceptional-AV. A huge saving to be had on the award-winning AKG K451 headphones, down from £130 to just £52 from Richer Sounds. You will have to move fast but you can pick up the excellent Sony BDP-S390 Blu-ray player for just £70 from Richer Sounds. Meanwhile Sevenoaks Easter Offers include a selection of free products, including the NAD Viso 1, when you spend over a certain amount on selected hi-fi, home cinema and TVs. Seen a bargain? Let us know in the comments below and we will add it to the list. Happy shopping. And don't forget you can see the best price for products by clicking through to the What Hi-Fi? Shop on hundreds of our reviews. Move fast on all of the deals above: they may not be around for long!